The OFFICE OF THE PUBLIC DEFENDER originated from the 1963 Supreme Court ruling in Gideon v. Wainwright, requiring representation for the indigent accused in all cases. In response to this ruling, the State of Florida established the Office of Public Defender to create a more balanced system of justice throughout the state. The State is divided into 20 judicial circuits - Palm Beach County makes up the 15th Judicial Circuit. 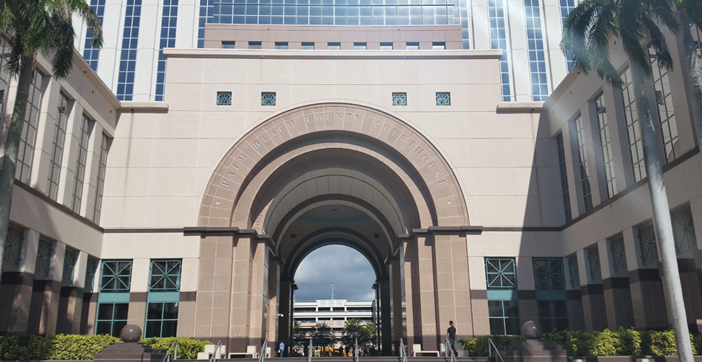 In addition to all cases at the trial level, the Palm Beach County Public Defender's office handles appeals to the Fourth District Court of Appeals from the 17th Judicial Circuit (Broward County) and the 19th Judicial Circuit (Indian River, St. Lucie, Martin, and Okeechobee counties). Carey Haughwout is your elected Public Defender for Palm Beach County. She has served as Public Defender since January 2001. As the office's leader, Ms. Haughwout is responsible for a staff of more than 200 people - an estimated 120 attorneys and 80 support staff. With a budget of approximately $18.3 million, the office is responsible for more than 50,000 cases per year.